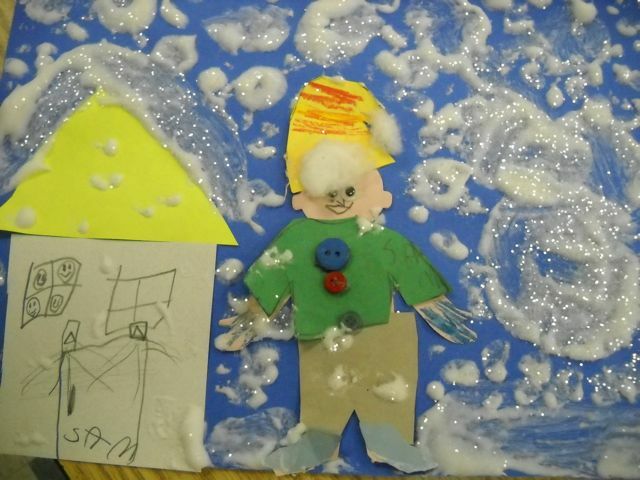 Blog Hoppin': Shaving cream and glue winter fun! 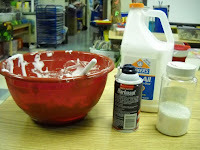 Shaving cream and glue - oh what fun that is!! 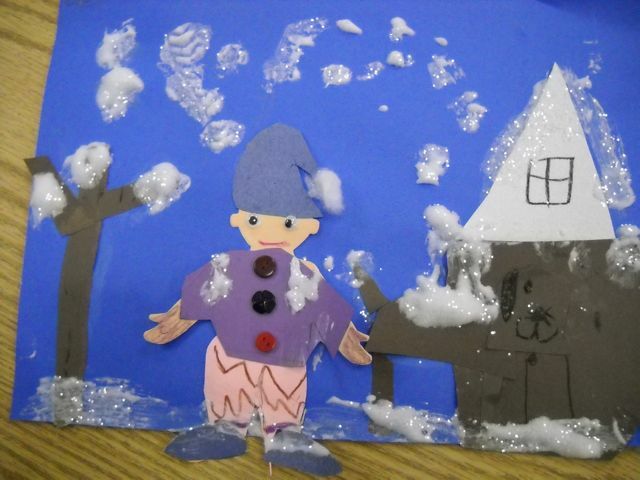 Equal parts of each, a little paper, and diamond dust glitter and you have a beautiful snow picture! The MOST fun about this picture is that the paint stays puffy! 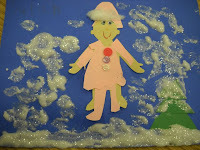 The kids cannot stop touching it! 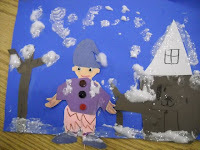 We cut people sha pes from the Ellison machine, put out construction paper scraps and let the kids go to town! Fun! 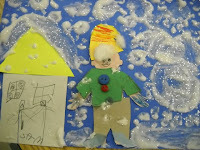 After completion, they wrote about their "Snowy Day!"